The NS Frauen-Warte was the Nazi Party's magazine for women. It often had rather vivid covers. 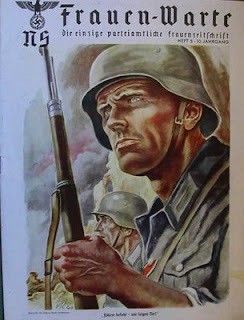 I've added an August 1941 cover from a copy I just received to the page on the magazine, an example of Nazi military art.